The Kane 451 Plus is the replacement model for the Kane 451. This is a combustion analyser which has direct CO2 measurement. The Kane 451 Plus also benefits from a long-life high-range CO sensor. The Kane 451 Plus is perfect for engineers who install and/or service oil or gas boilers, along with those working with Biomass appliances. 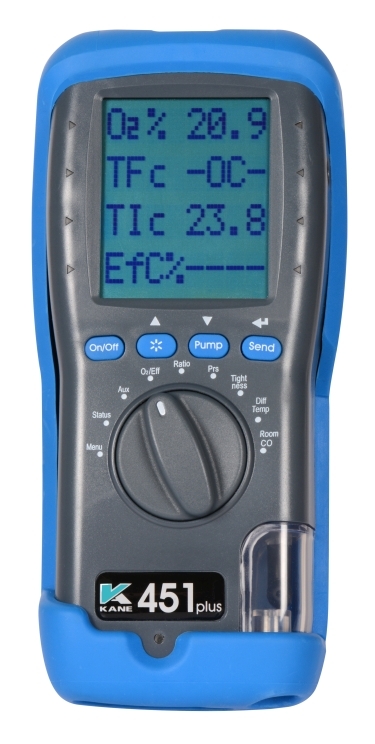 The Kane 451 Plus has a four line display controlled by 9 position rotary switch.